Street Photography provides expert advice on the best types of cameras and lenses for street photos, with handy shooting tips on all aspects of the genre and website links to the world’s best street photography. The book includes easy to follow techniques, from zone focusing, framing, single-frame/burst capture, positioning, timing, and 4K movie options, through to the aesthetics and practicalities of colour versus B&W, and how to develop your own street photography style. 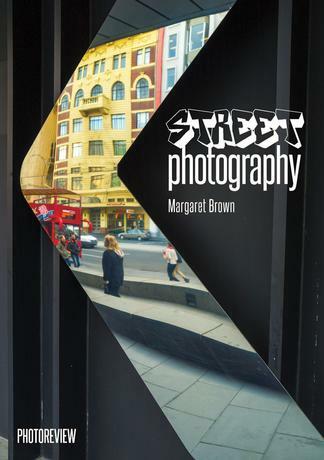 Street Photography author is highly respected Photo Review Australia technical editor Margaret Brown.